Apple has seeded a new beta this afternoon for iOS 5.1 to registered developers in the iOS Dev Center. Those who have been running the second iOS 5.1 beta can download this newest update through iOS 5’s over-the-air update feature in the Settings app. While iOS 5.1 beta 3 (Build 9B5141a) doesn’t seem to bring anything particularly revolutionary to the table, it appears that the “Enable 3G” toggle has been enabled for quickly disabling 3G data. The toggle was removed with the release of iOS 5.0, but Apple has seen to adding it back in this latest beta. The setting can be found under Settings > Network on pre-iOS 5 and 5.1 beta 3 software. When you turn off 3G data, you will be placed on your carrier’s 2G/EDGE network. While data speeds will become considerably slower, your iPhone’s battery will last longer. Apple has also introduced some API improvements to help developers designate certain app files that should not be backed up by the system. 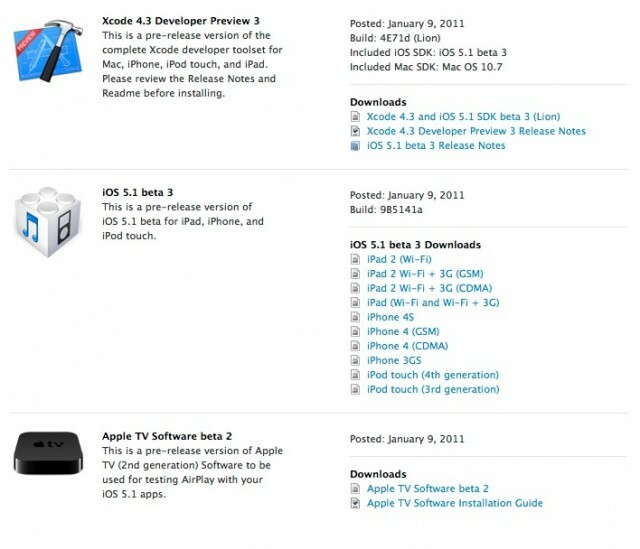 Xcode 4.3 Developer Preview 3 and Apple TV 5.1 beta 2 have also been seeded. Apple asks developers to test AirPlay with their iOS 5.1 apps. 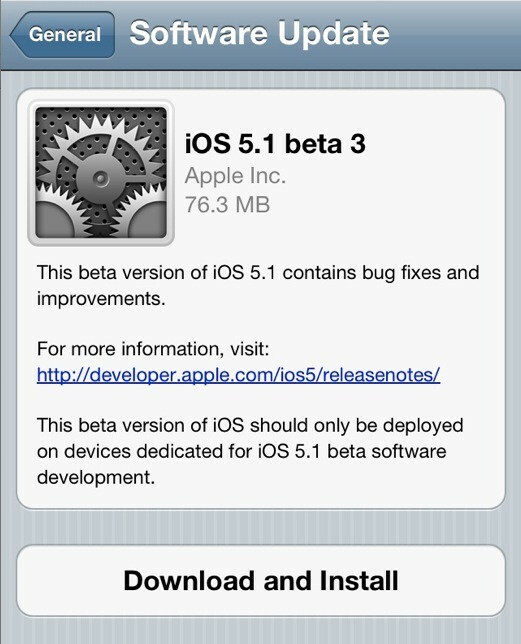 iOS 5.1 beta 2 was released on December 12th, 2011. 5.1 beta 3 expires on Wednesday, March 14th.